Nestled in the Central McDougall neighborhood, this building places you in the heart of Edmonton! Just two blocks from Macewan University and LRT Station and just minutes from the new Ice District/Rogers Place, NAIT and Kingsway Mall!! Talk about location! Perfect for university students or professionals. The quiet building offers one- and two-bedroom floor plans and includes access to smart card laundry machines and outdoor parking. 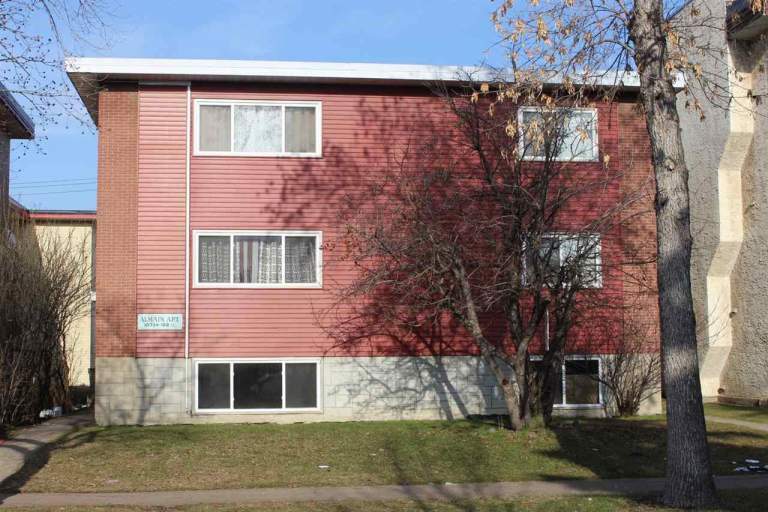 These updated units feature large windows, laminate flooring and plenty of storage closets. Walk inside the front door and be greeted by a massive living room, perfect for any furniture arrangement. Head into the kitchen and find plenty of cupboard and counter-top space along with apartment sized appliances including a fridge and stove. Off the living room is a large bedroom with a built-in closet, easily big enough for a queen mattress! A full bathroom with tub shower and multiple storage closets finish off these functional and bright units! ­Looking for a large living area and more bedrooms? Look no further! These massive units boast huge living rooms with large windows and laminate flooring, enough space in the kitchen area for a table and two large bedrooms. With plenty of extra storage space and a full bathroom, these two-bedroom units have it all! Each unit includes heat and water utilities, one assigned outdoor parking stall and access to smart card laundry machines on the lower level of the building! Pets Stay Free!!! No Extra Fees! Security Deposits Equal to One Month's Rent. No Smoking Inside Units or Building.